This post was first published in 2017. West Berkshire was well represented at the March for Europe in London, with members of West Berkshire Stronger Together EU (WBSTEU) and Newbury and West Berkshire Liberal Democrats on the move. please sign up online and drop me a line at judith.bunting@wbld.org.uk. Ruth Headon is a local woman who has turned her life around. Judith went to meet her and hear her story and her plans for the future, growing a business in Newbury. Ruth’s life spiralled out of control a few years ago, in a few short months she lost everything, her home, family, her child and friends to alcoholism and addiction. With the help of a great friend, Dave, she pulled herself through it and is now celebrating 3 years sober. Ruth found herself looking at a window sign in Rio’s Burger Bar asking for till staff, and she hasn’t looked back. She is now the manager there and has been there for two and a half years. Rio’s is now being sold and Ruth’s determined and entrepreneurial spirit has given her the motivation to want to take over Rio’s herself, and continue her efforts to support those who are going through similar experiences to her. Calling herself lucky, Ruth is now giving back to the community and is teaching others how to complete forms and how to read. With a desire to do whatever she can to help people and make a difference she has completed both Peer and Facilitating Training. Ruth describes the team at Rios as ‘a team of amazing people, my own little family. This is my recovery community. People come to Rio’s for food and advice’. This week, at Park House School, Newbury, Liberal Democrat Parliamentary Candidate Judith Bunting launched the Liberal Democrat’s manifesto policies for young people and children. Under the plans, 3-4 year-olds in Newbury and West Berkshire would benefit from Liberal Democrat plans to triple funding for the early years pupil premium, which gives extra cash to nurseries, pre-schools and school receptions when they take on children from disadvantaged backgrounds. 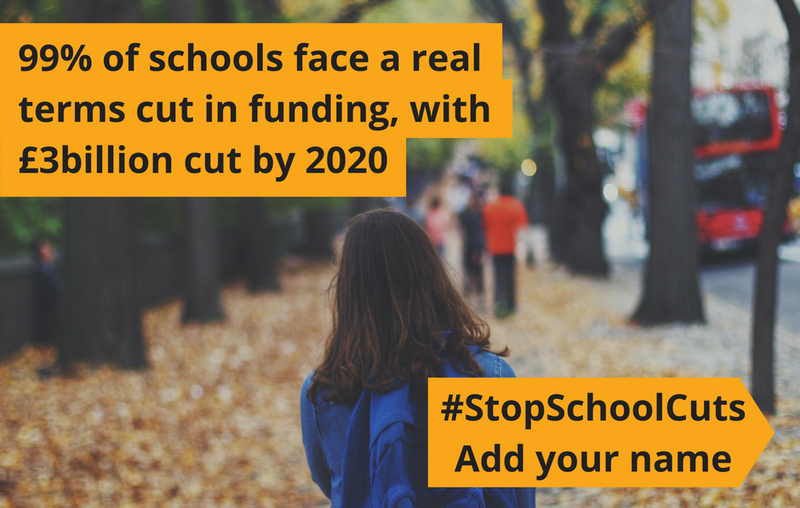 The cash would triple the funding to £1,000 per pupil per year – up from £302 in 2015-16. This will increase the allocation for West Berkshire Council from around £75,000 (£74,591) to £223,773, and will pay for every disadvantaged child who benefits to receive 570 hours of state-funded early education. This forms part of a series of policies the Liberal Democrats are announcing with a focus on giving children and young people a brighter future. Judith Bunting added: “We will give children in Newbury and West Berkshire a brighter future, by investing in those from more deprived backgrounds to give them the best possible chance in life. “This forms part of a package to build a fairer Britain and ensure no child or young person is left behind. Education is at the heart of everything I stand for, as a Liberal Democrat. “I want the opportunity to help the Liberal Democrats provide a strong opposition to this Conservative government and to give the people of Newbury and West Berkshire a voice in standing up against the cuts to our local schools, hospitals and regional funding. The Liberal Democrats have launched their manifesto plans today for a brighter future, with pledges to reverse Conservative cuts and increase funding for the NHS, schools and police. The Party’s landmark policy would give the people the final say on the Brexit deal which would include the option to remain in the EU. The Liberal Democrats would put a penny on income tax for health and care, which would raise £8m for the NHS in Newbury and District Clinical Commissioning Group – enough to fund 48 more nurses. An additional £28,953,046 of funding for schools in West Berkshire paid for in part by reversing Conservative cuts to corporation tax, would be enough to pay for 159 more teachers. Meanwhile an additional £8.3m funding for Thames Valley Police would pay for 166 more officers, helping to cut crime and ensure a stronger police presence in the area. Other key policies in the Liberal Democrat manifesto include plans for a £100bn infrastructure fund to build more homes, improve road and rail links and install fibre-optic broadband across the country. The Liberal Democrats will also give the people a chance to change Britain’s future by holding a referendum on the final Brexit deal, with the option to remain. “These plans would build a brighter future for people in Newbury and West Berkshire and reverse Conservative cuts to our schools, hospitals and police. “We want to build a fairer Britain, with good schools and hospitals, a clean environment and an innovative economy. “You don’t have to accept Theresa May and Nigel Farage’s cold, mean-spirited vision of Britain. “The Liberal Democrats will stand up to a bad Brexit deal that will cost jobs and put up prices and give you the final say. The Lib Dem Manifesto (and Easy Read, BSL and Braille versions) can be found here. Judith Bunting, Liberal Democrat Parliamentary Candidate for Newbury constituency, has outlined Lib Dem plans to end the “injustice” against people with mental ill health. “Under this Conservative Government, NHS services have been stretched to breaking point. This is at a time when the prevalence of mental ill health appears to be rising. She said: “Neither Labour nor the Conservatives have explained how they will fund mental health services. Our priorities are clear and will be funded by the injection of £6bn a year into the NHS with an additional penny on income tax. “We want to in improve waiting time standards for mental health care in the NHS, end the degrading use of force against people with mental ill health and prioritise action to reduce the number of people who take their own lives. “The Lib Dems want this country to be a world leader in mental health care. These are not just empty words – in Government it was the Lib Dems who introduced a legal duty on the NHS to promote parity of esteem for mental health and invested £400m to increase access to talking therapies. I am delighted to support the Mencap Campaign for Easy Read manifestos for the 2017 General Election. Over 1.4 million people in the UK have a learning disability. About 1 million of these people will have the opportunity to vote in the General Election. Research for Mencap’s Hear my Voice campaign in 2015 showed that people with a learning disability have a political appetite and want to vote. I have met with our local Friendship Skills group for a political grilling twice, now, and the questions asked by the group are often just as tough as those from the audience at public hustings. The support given by groups, such as the Mencap Friendship Skills group is excellent. Nonetheless, many feel excluded from the political process due to the inaccessible language and jargon used in politics. Providing Easy Read manifestos can change that. The Liberal Democrats provided an Easy Read manifesto in 2015, alongside the standard version. Easy Read means using simple language and pictures to make information easier to understand for people with a learning disability. By providing an Easy Read manifesto you are making sure that people with a learning disability feel included and that their vote is valued and counts. I am delighted to report that the Liberal Democrats were one of the first parties to commit to do the same for 2017. Links to the standard and Easy Read Manifestos will be posted here, as soon as they are available. Please sign up below, if you would like me to forward the link to the Liberal Democrat manifestos when they are available (should be Wednesday). For more information on this issue, this podcast may help. Mental health awareness week ended yesterday and this morning, Judith Bunting, was speaking on BBC Radio Berkshire about Mental health. The interview starts from 25 minutes into the show, but is preceded by a relevant interview on funding cuts from Reading Your Way, a local mental health charity. If you’re a user of West Berks Mental Health services and want to feedback your experiences to the local authorities, Healthwatch West Berks have a Thinking Together event on Thursday. Find out more about how the Lib Dems want to end an historic injustice in mental health care by providing ring-fenced funding. Find out about the Lib Dem’s Five Step Plan for the NHS and Social Care. Bunting continued: “We will work with pro-European MPs in any party to stand up to the Conservatives over hard Brexit, but Corbyn is not that. Corbyn is pro-Brexit, he wants to pull us out of the single market. He marched his MPs through the lobbies to vote for article 50 alongside Richard Benyon and the Brexit Conservatives. Lee Dillon, leader of the Liberal Democrats on West Berkshire Council said: “During the referendum this constituency was clear regarding Brexit. People here don’t want it. Labour should unite behind the Liberal Democrats in this election and back Judith Bunting to hold our Tory MP to account for going against the wishes of his constituents”. See more of Judith’s articles on Brexit here. Judith Bunting, Liberal Democrat Parliamentary Candidate for Newbury constituency has challenged Hilary Cole, Acting Deputy Leader of West Berkshire Council to provide assurances that they will work with Newbury Community Football Group on to protect and enhance the town’s Football Ground on Faraday Road. Judith Bunting was a prominent supporter of Newbury Town Football Club in its fight against eviction by West Berkshire Council last year. “Richard Benyon’s Conservatives on West Berkshire Council have removed school bus routes, they have cut back drastically on children’s mental health support, and have tried to close our libraries. Now they want to destroy the football club too. This General Election is the Best Thing for Britain. It Gives us a Chance for Change. ‘Leave’ voters who did not realise Brexit could lead to the break up of the UK. People who chose not to vote who now regret that decision. ‘Leave’ voters who feel they were lied to during the Referendum Campaign. 17 year olds who have had a birthday since last June and now want a say in their own future. Add these to the 48% who feel the narrow margin of victory last June is being casually disregarded. Yes, this general election is the best thing that could happen to the UK right now. If you want to stop a hard Brexit, you need an MP who will fight for you. If you are a Remain Tory voter, please lend me your vote for this election. If you are a Labour voter who does not want to leave the single market, please support us. If you are angry at the potential break up of the UK, vote for us. If you want to live in a country which is open, tolerant and united, vote with us. If you would like to join our local campaign team to work to stop this hard #Brexit in its tracks, please write to us at westberkslibdems@yahoo.com.